Having received honorable mentions in 2014, 2015, and 2016, I was able to make the cut once again for the International iPhoneography Awards! I took this photo while on vacation in Cartagena, Colombia. It was just a simple window in my hotel that seemed to frame the outdoors perfectly. It also had some great light and warm colors. 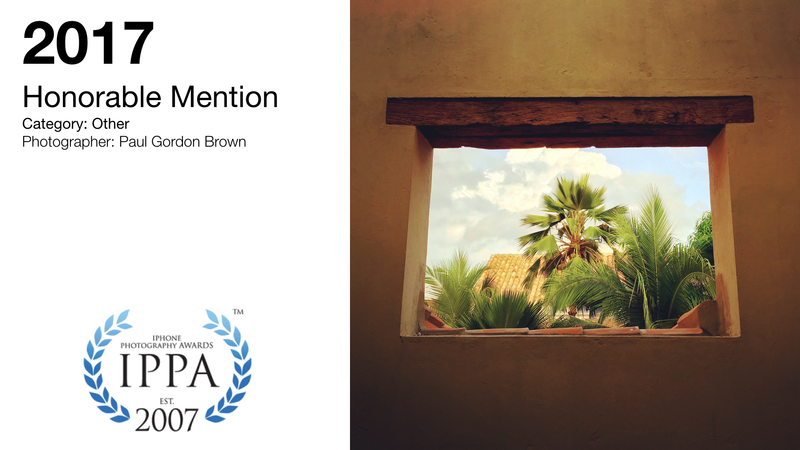 Check out more of the winners at the IPPAwards website.